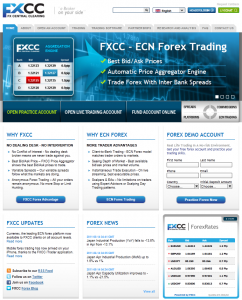 Forex Broker FXCC – Review. 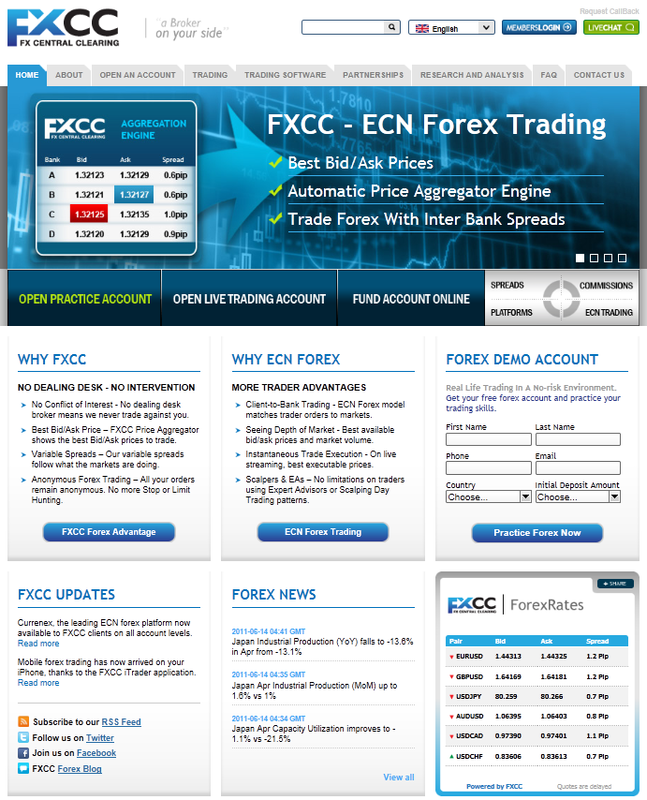 FXCC is a regulated Foreign Exchange Broker that offers a wide range of trading technologies and services. FXCC’s business model ( ECN/STP ) offers complete anonymity, full transparency, advanced execution, direct and competitive market prices and spreads. This creates a trading environment with no re-quotes and no conflict of interests or bias against any trader or trading system including automated systems and scalping. - Seeing Depth of Market. Trading platforms: MetaTrader 4, Currenex, Multi Account Manager, iTrader. Trading instruments: Forex ( 40 currency pairs ), GOLD, SILVER. - STANDARD Commission Based ( Commission: 1 Pip Value per Round turn transaction ). - STANDARD Commission Free ( Commission: Spread only ).